Kathy Rollinger Consulting LLC is an outsourced bookkeeping firm, offering services to small sized businesses. We LOVE QuickBooks. We are Intuit centric, technology driven and love to “app-ify” the process. 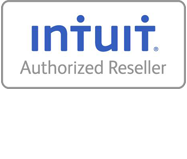 We work to educate, help to integrate and utilize QuickBooks software and its compatible 3rd party applications. Our accounting knowledge and QuickBooks expertise results in accurate real-time financial information which we leverage to help our client’s grow. • Are great with technology – even a bit of a geek! • Have fun and gets LOTS done every day! So, what’s next? If we sound interesting to you, email your resume to kathy@rollingerconsulting.com we’d love to hear from you! Part-time and full time opportunities available. Pay is competitive and will be based on successful candidate’s skills/abilities and experience.